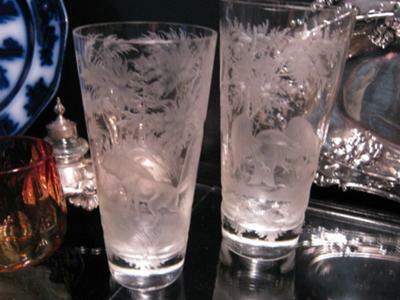 I bought these 2 etched Georgian tumblers in an antique shop in New Hampshire about 12 years ago. 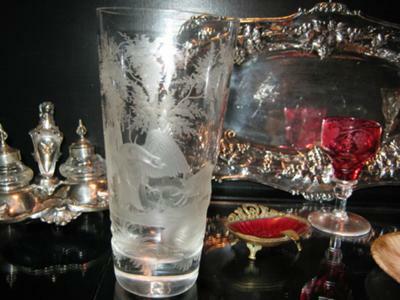 This lovey pair of Georgian tumblers are nicely etched with the decoration depicting scenes of a hawk and a rabbit or hare in natural surroundings. They are very pretty and the decoration is very well done. 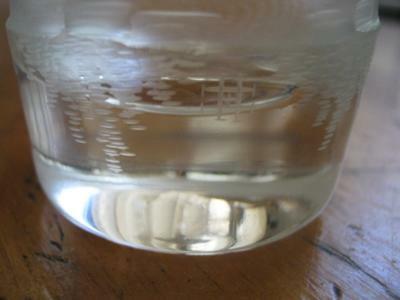 There is, what appears to be, a decorators mark (see pic 3), but I cannot identify the mark. Can anyone tell me who made these and around what date? I can send better pictures if you let me know your email address. Any feedback on the mark would be helpful. The mark is a an etched cross touching horizontal and vertical II’s. That’s a beautiful pair of glasses the decoration looks superb, but really need clearer photos to be able to identify the mark or style. A view of the base would also be handy for dating.